Hans Taparia, an assistant professor at the New York University Stern School of Business, co-founded and partially owns an organic food business. Pamela Koch is executive director of the Laurie M. Tisch Center for Food, Education, and Policy at Teachers College, Columbia University. A version of this op-ed appears in print on November 8, 2015, on page SR4 of the New York edition with the headline: Real Food Challenges the Food Industry. Categories: diet | Tags: antibiotics, artificial colors, chemicals, diet, gluten, nutrition, organics, sugar, whole grains | Permalink. Food AdditivesLearn more about Food Dyes in the report published by CSPI: Rainbow of Risks which discusses risks of cancer, genetic damage, and allergic reactions due to dyes. There are almost two million farms in the USA. About 80% of those are small farms, and a large percentage are family owned. More and more of these farmers are now selling their products directly to the public. They do this via CSA programs, Farmers’ Markets, Food Coops, u-picks, farm stands, and other direct marketing channels. Locate and support your local farmer by using the map at Local Harvest. Categories: chemicals | Tags: artificial colors, chemicals, children, diet, kids, preservatives | Permalink. I struggled with depression for a large majority of my life. In the past I used food as a means of coping with my feelings — and when I say “food” I mean processed sugary comfort type food. During my emotional binges I felt good (while armed with deep fried chicken in one hand and a burger in the other) but immediately after I felt sicker, sadder, more miserable and in need of my next hit. So I continued to eat poorly and abuse my body for a few years in the hopes to feel better. After inevitably gaining over 100 pounds, I realized I had to cut the crap. I made changes to my diet and began to notice that certain foods improved my mental clarity, boosted my mood, gave me more energy and removed my junk food cravings. Eventually these simple changes in what I ate allowed me to sort out both my physical and mental blockages. The top five foods I found, and what research has also shown, to be effective are outlined below. There’s good reason why we often turn to chocolate when we are feeling down. But next time you find yourself in this state, reach for real chocolate in its natural state without the nasty hormone disruptive additives and chemicals: cacao. Cacao is one of the highest food sources of antioxidants and magnesium, and it also contains iron, fiber, chromium and manganese. It has been shown to help with cardiovascular health, boost energy levels, promote longevity, increase libido and improve your mood. Add cacao powder or nibs to smoothies, baking, or keep some raw chocolate bars ready to go! 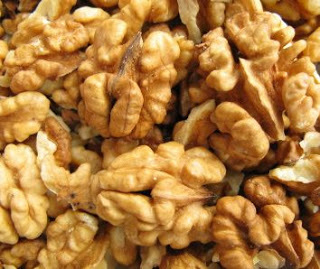 In particular those foods loaded with omega-3s, such as wild salmon, sardines and walnuts have been proven effective to help improve depressive symptoms. Omega-3 content helps maintain healthy chemical levels in the brain. You could even look to incorporate wild fish oil as part of your daily diet. Chili is not just a tasty addition to a dish, it’s actually been shown to increase the release of endorphins in the brain which boost symptoms of pleasure. By increasing the amount of B vitamins in your diet, you may begin to notice positive changes in your mood. Some excellent food sources that are rich in B vitamins are nutritional yeast, darky leafy greens, seafood, bananas, chicken, eggs, almonds, and avocados. The most dramatic change you can make to help ease your depressive symptoms and to lead a healthier life is by switching over to a diet of real food. By doing this you are removing processed junk, artificial flavors, colors and sweeteners from your diet. It may seem dramatic to say, but changing what I ate changed my life and quite possibly saved it. No bull. By making simple changes in my diet, I was able and willing to make bigger changes in my life, and in return, regain control of my life. I was able to admit my need for help, to nourish rather than to sicken myself, to get energy and motivation to exercise and get outdoors and become healthier and happier than I ever imagined. Just by starting with a few simple changes. Categories: diet | Tags: artificial colors, cacao, chili, diet, mood, Omega-3, processed food, salmon, vitamins, walnuts | Permalink. Marion Nestle is a sociology professor and Paulette Goddard professor in the Department of Nutrition, Food Studies, and Public Health at New York University. She blogs at foodpolitics.com. You can follow her @marionnestle. She is not related to Henri Nestle, who founded the food company of the same name. The views expressed are her own. (CNN)When food giant Nestle USA (to which I am, alas, not related) last month announced plans to remove all artificial flavors and colors from its chocolate candies, it understandably made headlines. According to the company, by the end of 2015, none of a group of 250 chocolate products including Butterfinger and Baby Ruth will contain artificial flavors or colors such as Red #40 or Yellow #5. Categories: diet | Tags: artificial colors, artificial flavors, chemicals, diet, food additives | Permalink.